Grillight is an innovative line of grilling accessories that incorporate high power, waterproof, LED lighting directly into the tool. 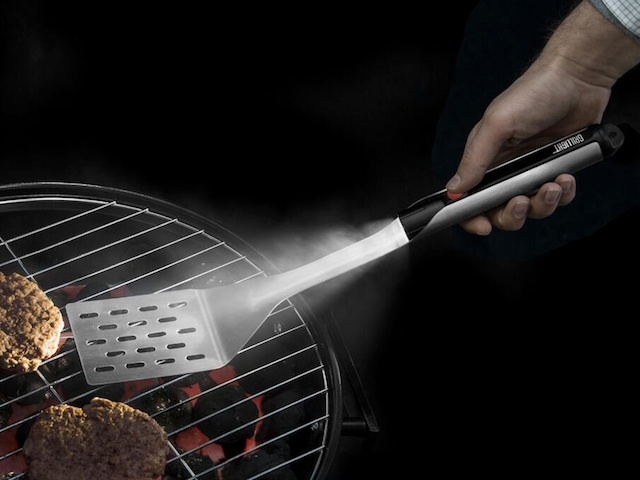 You will never be frustrated by low light cooking again with Grillight. They use their Ideal Illumination technology and food-grade LEDs to create a super bright, pure white light unlike any other LED light; you can see exactly what your food looks like without any distortion.